The Disklok is the UKs number 1 steering wheel security device and has built a fearsome reputation over the last 20 years but we also LOVE MOTORSPORT! Our very own sales director has been racing in the 750 Motor Club RGB (Road Going Bike Engined) Championships for the past two seasons, winning the overall title last time out. It is with great pleasure and excitement that for the 2014 championship, Disklok will be the title sponsor of this dynamic race series. 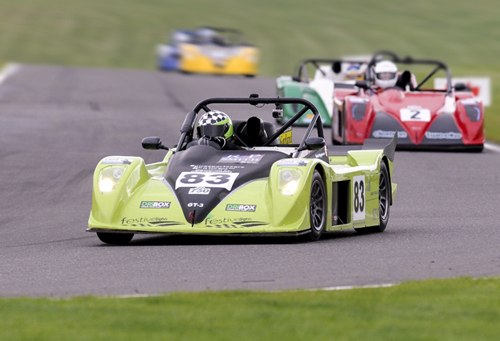 The Inventor and Director of Disklok UK has fallen in love with the 750 Motor Club and in particular the RGB championship as it not only offers great racing, but an exciting blend of speed, performance and atmosphere. As part of our Sponsorship, we are offering all 750MC members a discount off Diskloks. Whether you have a support vehicle, motorhome or van to secure; there is a size for you with a great discount. The easiest way to purchase is reserving and collecting a Disklok directly in the paddock during most 750MC meetings this year, just contact us in advance and look out for the Disklok Motor Home! Placing an order over the phone is also easy. We will help process your order online applying your special discount and shipping by courier to your address.